On April 5, 6 and 7, 2011, EPA presented Housatonic Rest of River workshops consisting of presentations by longtime EPA contractors. Unfortunately, GE and other stakeholders were not invited to present information at these workshops. Therefore, we are using housatonicoptions.com to provide you with the views of some national experts about some of the topics covered by EPA’s consultants at the workshops. Keith Bowers, one of EPA’s consultants and trained as a landscape architect, portrayed the ongoing bank erosion of the Housatonic as something that is damaging the ecosystem. Hear from Professor Rob Brooks who has studied the Housatonic for 30 years, and is a national expert on river systems, how this erosion is responsible for some of the uniquely diverse habitats of the Upper Housatonic . Richard DiNitto, one of EPA’s consultants, talked about changes in the river valley over the past 200 years. What you didn’t hear is the difference between the sorts of changes he talked about and the effects of PCB removal activities and what those differences mean for the Housatonic. 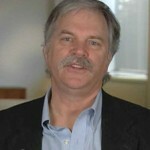 Hear from Professor Rob Brooks who has studied the Housatonic for 30 years, and is a national expert on river systems. He will tell you what these differences mean in terms of securing the future of its ecosystem as one of the last forested river corridors in New England. John Lortie, one of EPA’s consultants, said that you shouldn’t be concerned about the effect of widespread dredging on the Upper Housatonic’s unique network of vernal pools. That is not the case. Hear from Dr. Aram Calhoun, one of the two editors of Science and Conservation of Vernal Pools in Northeastern North America, the preeminent book on that topic, about the harm that dredging will have on vernal pools in the Housatonic. 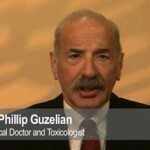 Dr. Phillip Guzelian, a medical doctor and toxicologist, explain why that is not the case. Dr. Donna Vorhees, a risk assessor who works for EPA, explained how EPA concluded that the Housatonic River presents a risk to human health. Hear from Dr. Russ Keenan, a national expert in human health risk assessment, how EPA’s assumptions are contradicted by the use of more reasonable assumptions and common sense that would have resulted in different conclusions. There was a lot of talk at EPA’s workshop about the potential effect of PCBs on the unique and diverse wildlife of the Upper Housatonic. Hear from Professor Rob Brooks, who has studied the Housatonic River for more than thirty years, about the fact that the ecosystem is still thriving, including dozens of rare species that found in few other places in Massachusetts. Richard McGrath, an EPA consultant and aquatic biologist , suggested that measuring PCBs in blood is not a good method for evaluating human exposure. Hear why that is not the case from Dr. Russ Keenan, a national expert in health risk assessment who has studied the toxicology of PCBs and the Housatonic for 20 years. He will tell you about the Massachusetts Department of Public Health study which compared the exposures of people who fished, hunted, gardened and engaged in other activities in the Housatonic River floodplain and how their exposures compared to the general U.S. population. Keith Bowers, an EPA contractor, used the restoration of a stream at Loring Air Force Base in Maine as a restoration “success story.” Hear why comparing EPA’s work at Loring to the Housatonic is comparing apples to oranges from Professor Rob Brooks who visited Loring with Professors Aram Calhoun and Mac Hunter of the University of Maine. 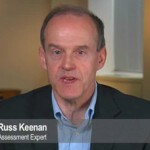 EPA’s contractors have been emphasizing the fact that its evaluations were “peer reviewed.” Hear why that isn’t any sort of scientific seal of approval from Dr. Russ Keenan, a national expert on human health risk assessments. Keith Bowers, an EPA consultant, referenced locations “around the country” that are evidence that said that the Upper Housatonic can be successfully restored after widespread PCB removal. The fact is that the restoration of an ecosystem like that of the Upper Housatonic has never been attempted. 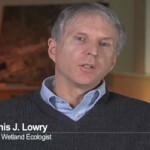 Hear more from Dennis Lowry, a senior wetland ecologist who received the Massachusetts Wetlands Restoration Award from the Executive Office of Environmental Affairs. Keith Bowers, an EPA consultant, claimed that restoration of the Upper Housatonic after PCB removal can be readily accomplished. Hear about the serious impediments to the restoration of this unique and complex ecosystem from Dennis Lowry, a senior wetland ecologist who received the Massachusetts Wetlands Restoration Award from the Executive Office of Environmental Affairs.